"Liquid" means Coca-Cola’s communication must be versatile enough to travel far and wide. “Linked” means it must stay true to the overall brand strategy. The World of Coca-Cola can participate in this strategy by creating experiences that generate conversations with the public. 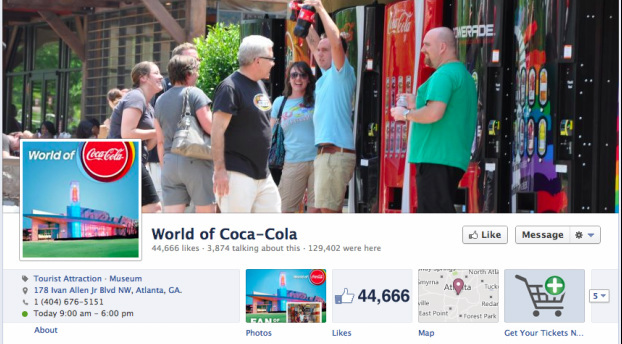 Are 44,666 'likes' relevant to an attraction catering to about one million annual visitors? 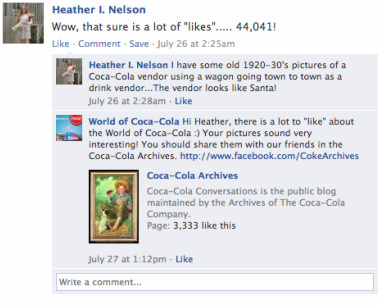 While it is worth noting that World of Coca-Cola frequently responds to posts and photos, there seems to be a lack of conversation that may attract new users to the page (and potentially to the attraction itself). If the point is to attract new patrons, how can this be achieved? 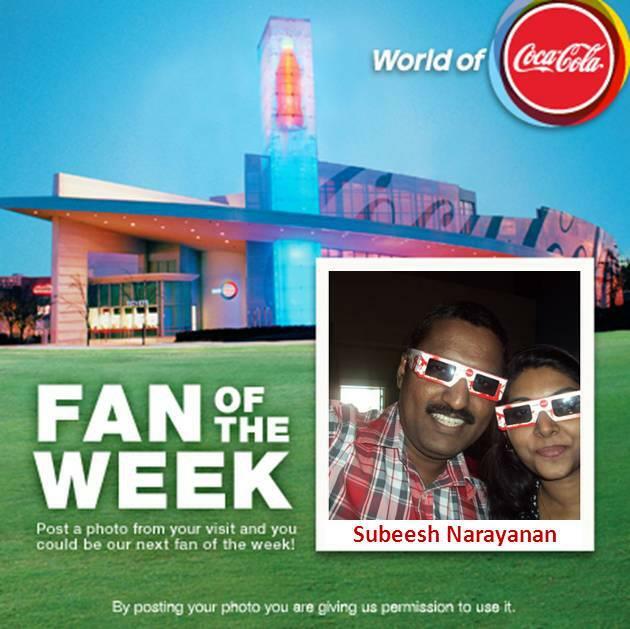 The World of Coca-Cola needs to generate truly Liquid content, worth sharing with new users. While a pleasant surprise for this particular Fan of the Week, programs like this don't reach any new audiences. This recycled content doesn't bring anything new or exciting to anyone. Possibly the biggest problem here is that this content is arguably not Linked with a larger strategy. It appears devoid of brand values and could be taking away from the brand just by being boring. The potential to create content worth sharing, while promoting brand values, is an enormous opportunity for The World of Coca-Cola.